Pioneers in the industry, we offer yoke forgings parts from India. We offer varied range of premium quality Auto Spare Parts. These products have been forged so that they are more durable, stronger and harden. Our products have been tested and checked on various required parameters to ensure that they are with compliance to the international standard. 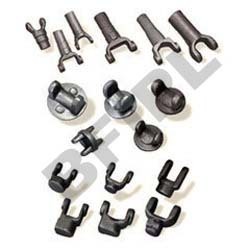 Available at attractive prices, they are widely used in various automobile industries. Looking for Yoke Forgings Parts ?